If you’re looking for the easiest cheddar cheese biscuits recipe in the entire history of the world you have found it, my friend. With just 4 ingredients and 20 minutes of your time you’ll have big, fluffy homemade biscuits full of gooey, cheesy goodness. Vary the flavor by the type of cheese you use — it’s really that easy! Biscuits, really good biscuits that tower above the plate and pull apart in big, flaky layers, are one of the hardest things in the world to get right. Oh, they look simple – the recipe blinks up at you innocently from the book pretending to be straightforward and foolproof – but too many times I’ve taken a batch out of the oven and considered taking them down to the creek behind our house to see if they would skip. These biscuits rise up proudly in your oven – big and fluffy and speaking with a drawl. 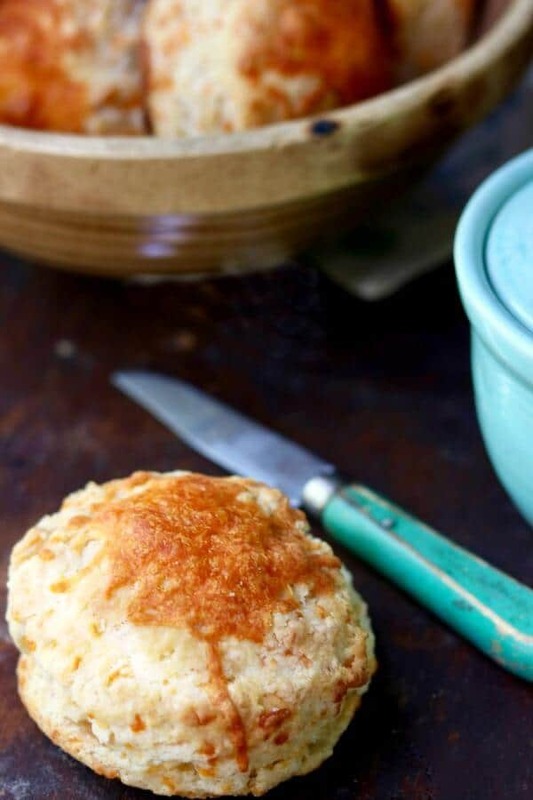 Once you make these Cheddar cheese biscuits you’ll be craving biscuits every dang day. They pull apart easily and you can see the thin layers speckled with dots of melty, orange cheese inside. Really the main thing to remember when you are making this Cheddar cheese biscuits recipe is to be gentle with the dough. Keep your touch light so that you don’t mash the ingredients together too much. 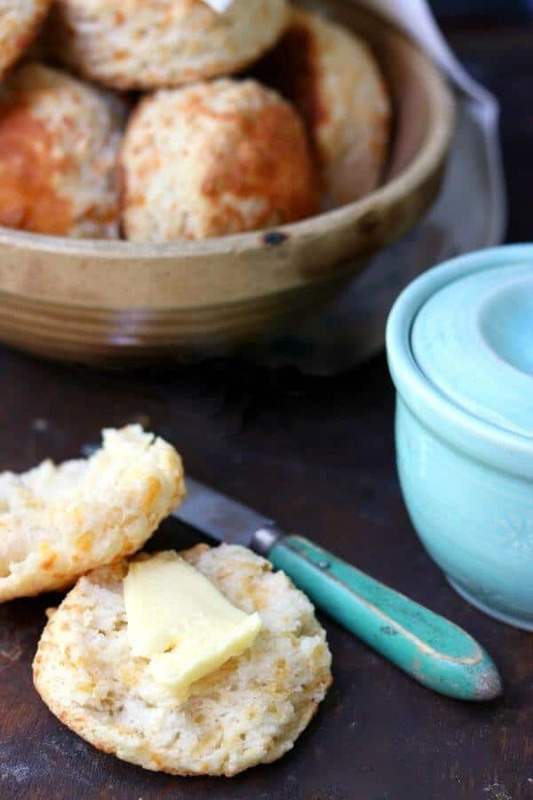 Here are some tips on how to keep your biscuits fluffy. Keep everything cold from start to finish. I like to measure out the flour and put it in the freezer for awhile to get it good and cold. Freeze the butter for 30 minutes, too. Use a good, soft wheat flour. I like White Lily Self Rising flour which is pretty much the Southern standard. 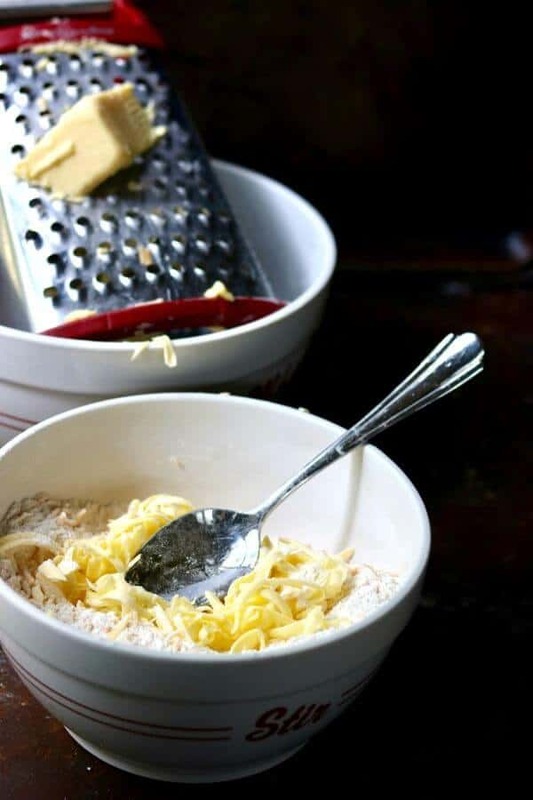 Lightly mix the grated butter and cheese into the cold flour mixture. Don’t worry about making it look like pebbles or coarse crumbs. You want to see shreds of cheese and shreds of butter in the flour. 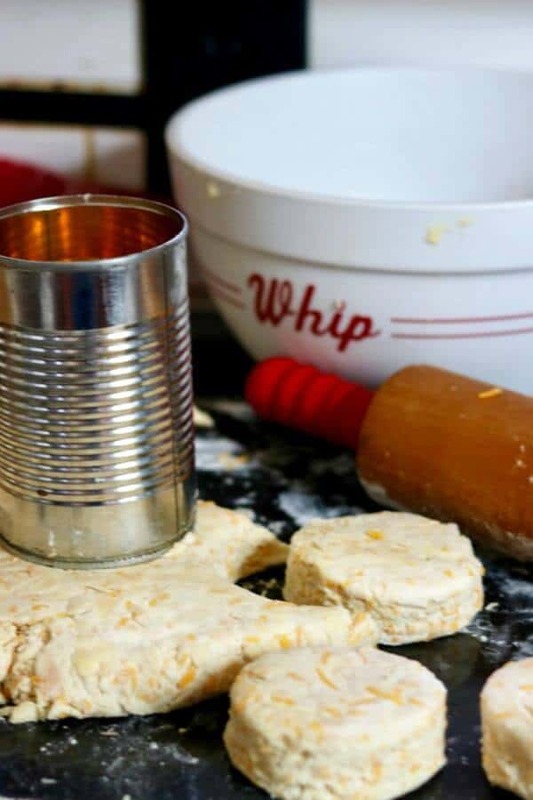 Mix the buttermilk in a little at a time with a cold fork – when the dough holds together stop adding buttermilk. Pat the dough out or roll it lightly – keep it about 3/4-inch thick. If you want a lot of layers cut your dough in half, stack it and roll it out again. Cut straight down – don’t twist the cutter! Some people don’t re-roll the dough. I do because I don’t like wasting food. If you DO re-roll dough scraps you should be aware that those biscuits will be less flaky and tender and more dense than the original batch. Bake in a hot oven – at least 425F to 450F. Sometimes I’ll bake biscuits in a 500F oven. For soft sides put the biscuits on the baking sheet close with the sides touching. For a little crust on the sides keep them about an inch apart. Once the biscuits are on the baking sheet pop the whole thing in the freezer for 15 minutes if you have time. Brush with melted butter just before baking and when they come out of the oven if you wish. White Lily Self Rising Flour is super soft and it really does make a difference in the biscuits. It’s not available everywhere in the US but it IS available on Amazon. Cut these with a larger cutter for breakfast sandwiches and sliders. So good! Like this recipe? Please consider leaving a comment and filling in the star rating in the comments below. 🙂 Follow me on Facebook and Pinterest! 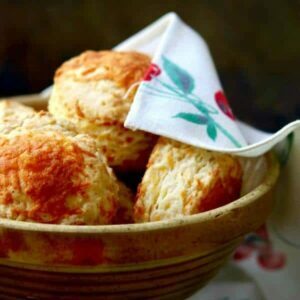 Quick and easy Cheddar cheese biscuits are light and flaky. 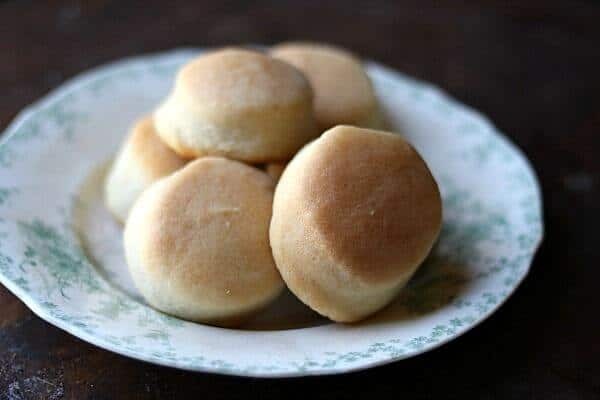 They are perfect for sliders and breakfast sandwiches or just eating slathered with good butter! Add the flour and sugar to a large bowl and put it in the freezer for 30 minutes if you have time. If not go on to the next step. Add the grated cheese and gently blend. Stir in the buttermilk, a little at a time, just until the dough holds together and leaves the sides of the bowl. If the dough breaks apart and crumbles add a tablespoon or two more buttermilk 1 tablespoon at a time. Pat out on a lightly floured surface. 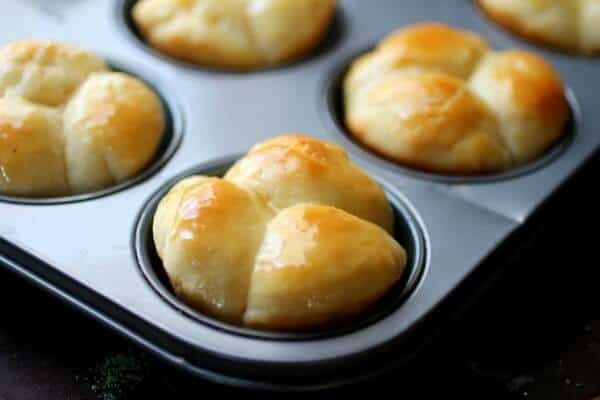 You should see streaks of cheese and streaks of butter in the dough. Gently pat it to 3/4 inch thick. Cut straight down with a biscuit cutter. Place the biscuits on an ungreased cookie sheet with sides touching for soft sides or 1 inch apart for crusty sides. 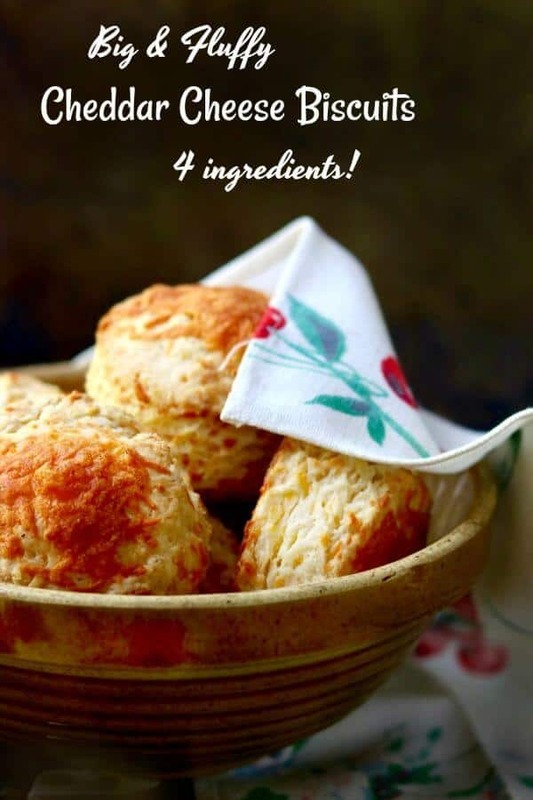 Sprinkle 1/2 tablespoon of cheese on the top of each biscuit. Place in the freezer for 15 minutes if you have time. Bake for 20 minutes, or until done all the way through. If you don't wish to use self-rising flour you can add 1-1/2 teaspoons baking powder and 1/4 teaspoon of salt per cup of flour.